Omega - A nice official picture of the Omega Speedmaster Dark Side Of The Moon Apollo 8, from the 2018 Collection. 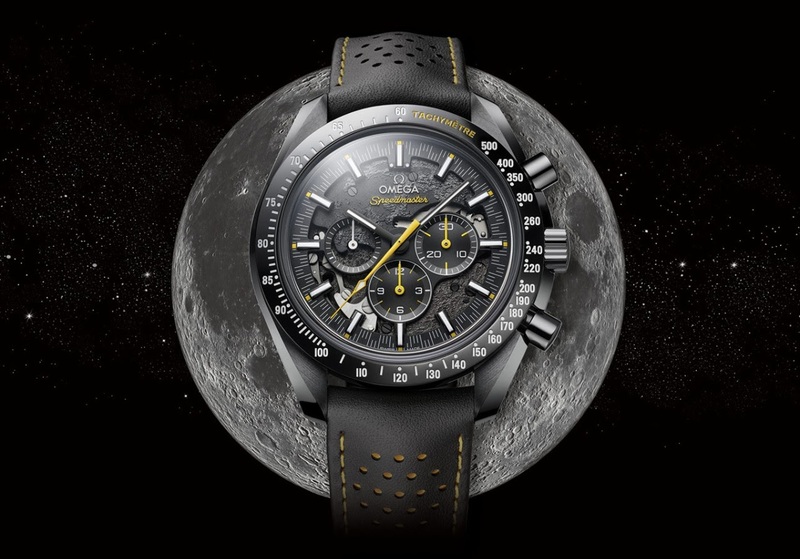 A nice official picture of the Omega Speedmaster Dark Side Of The Moon Apollo 8, from the 2018 Collection. Here it is... Just superb. And here, the pictures I took at the Omega Manufacture in Bienne three months ago. 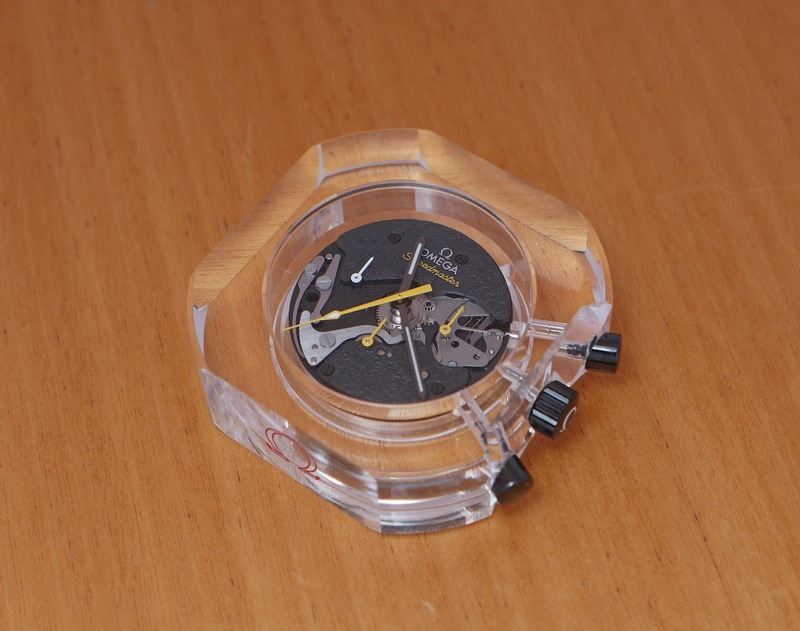 Black Ceramic case, 44, 25 mm big. 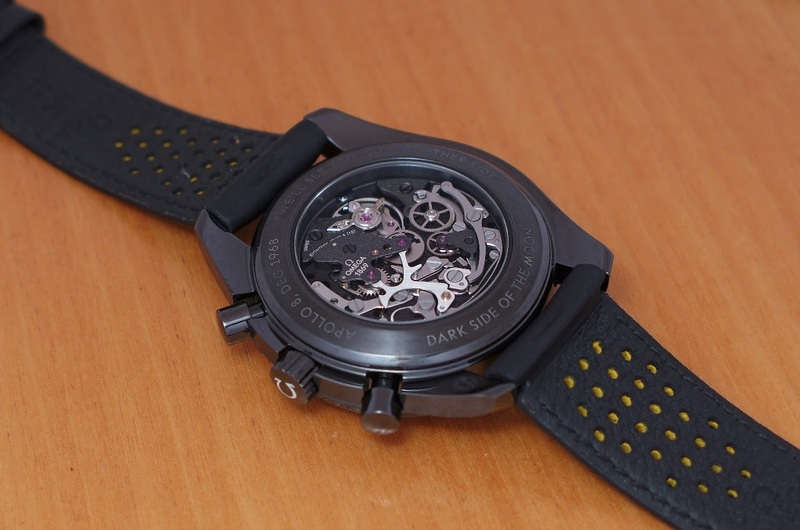 The movement, the Cal 1861, has been blackened and decorated like the surface of the moon. Original, cool, but I must say it doesn't sing to me. When it comes to Speedmasters, I am veeeery picky. 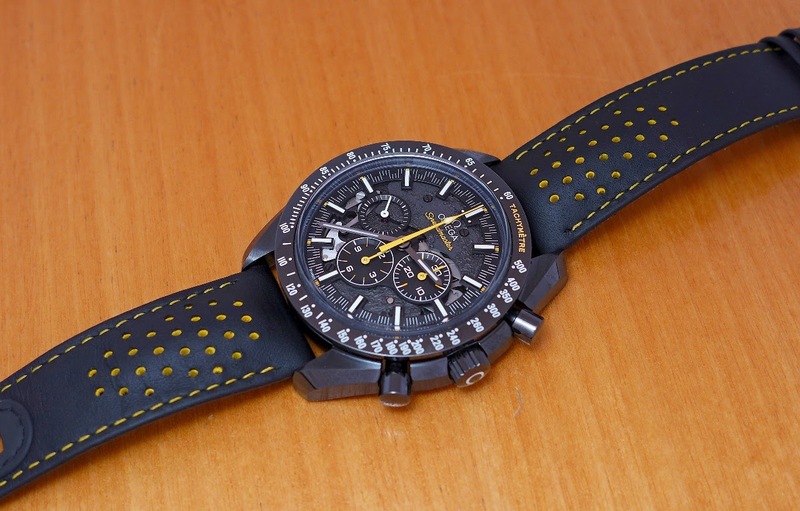 Interesting to note the cal 1869 movement made especially for the Apollo 8 last year . . . Curious, no? That the initial photos show a nineteen jewel movement . . .
. . . and all subsequent images eighteen is a mystery I'd like to get to the bottom of . . .
Perhaps HSTE or Nicolas can tap their contacts at Omega . . .
. . . to find out. I have been tempted off and on by this one . . .
Black watches have a place in a collection..